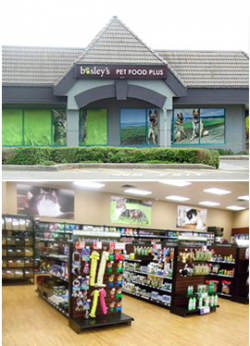 Bosley’s is British Columbia’s leading pet specialty retailer offering a full line of competitively priced nutritious, premium brand name pet foods, high quality accessories and supplies for dogs, cats, birds, fish and small animals. Our highly trained and knowledgeable Pet Specialists are eager to assist you make informed decisions in maintaining the overall health and well-being of your pet. Many of our employees are pet parents too. We understand how important having a happy, healthy pet is to you. With 30 years experience in the pet retail industry, Bosley’s success is built on our founding principles of service, knowledge, innovation and fun. We stand behind our products, our service, our people and the information and advice we offer customers. Your satisfaction is our guarantee. We seek to ensure that every visit to a Bosley’s store is a pleasant and helpful experience for you and your pet.